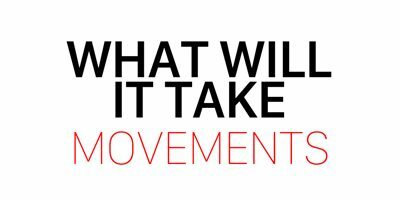 Inspired by Marianne Schnall’s widely circulated article, “2018 Will Be the Year of Women,” What Will It Take and Intentional Media will be launching Year of Women, a year-long integrated digital, media and event campaign that will facilitate the critical conversations, connections, and actions needed to elevate women in business, politics, media and finance. More details on these events coming soon! Sign up for our newsletter to receive updates and information about them as they become available. In partnership with A CALL TO MEN—a respected leader on issues of manhood, male socialization and its intersection with violence, and preventing violence against all women and girls—this breakfast salon, hosted by Deloitte, will bring together champions of workplace equity and diversity and inclusion from across industries to help understand what steps can be made toward achieving true equity in the workplace. The event will consist of a keynote address, corporate case studies, an interactive panel discussion, networking opportunities, and co-creation of shared commitments to creating workplace culture of respect, equity and value for all. In partnership with Changemaker Strategies, we are engaging catalytic leaders and activists in the fields of strategic philanthropy, social entrepreneurship, angel investing, and impact/gender-lens investing to connect, learn from each other, and collaborate in new ways. 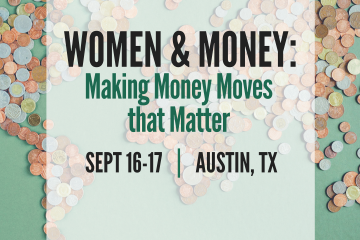 Attendees will get new tools and explore coalitions that are forming to amplify women’s giving and investing and make a bigger impact and change systems with a gender justice, racial justice, and social impact lens. This two day gathering will be one half day (2 pm – 9 pm) and one full day (9 am – 5 pm) featuring engaging discussions and presentations, brief “state of the field” talks, and visual showcases of platforms and products. Our goal for the gathering is to come up with a manifesto of ideas, activities, and commitments to guide individual and collective future work. Find out more. Building off our event last summer in partnership with Jennifer Siebel Newsom and The Representation Project, this event will address how we can get more women in positions of leadership in the media, create better media, representation, and portrayals of women and women leaders, and change the culture in Hollywood and beyond. Attendees will leave with a clear call to action. The evening event will feature a fireside chat, panel and reception. 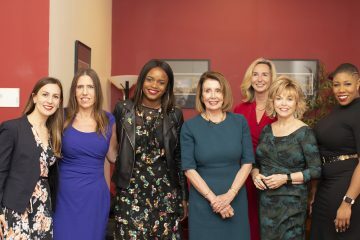 As a follow up to our successful event last fall at the NYU Skirball Center which featured Leader Nancy Pelosi, Pat Mitchell, Symone Sanders and more, the aim of the event is to analyze the global landscape of women’s political leadership, the critical gaps that persist, and innovations in providing more opportunities, pathways and power for women leaders. Throughout the event, we will focus on how we can ensure more women rise to political leadership, and, most importantly, where we go from here. This half-day event will feature a high profile keynote or fireside chat and a series of panels on timely themes as well as a breakfast reception. Attendees with leave with key action steps to assure forward momentum. Studies show that sports participation plays a pivotal role in developing successful women leaders, yet women still lack equal opportunity, pay equity, and endure countless double standards both on the fields of play and off. How do we create a pipeline to develop women leaders in all areas of the sports industry? How can teams, leagues, sponsors, and the media work together to lead the way in driving diversity? What Will It Take will host a half-day summit bringing together leaders from across the industry to elevate the discussion of gender disparity and other issues in the business of sports. All attendees will be asked to participate with the intention of committing to on-going work both individually and collectively. More event announcements coming soon! On October 25th, 2018 What Will It Take partnered with our sister brand SOCAP (Social Capital Markets) to host a panel discussion about gender relations in the public and private sectors. In this panel, leaders working to advance gender equality, prevent men’s violence against women, and change outdated paradigms in the business/entertainment world and beyond shared some of the ways that women and men are working together in solidarity to address these issues, and how investors and corporations can shift workplace culture to one of respect, equity and value for all. Moderator: Marianne Schnall, founder, What Will It Take; Panelists included: Ted Bunch, Co-founder, A CALL TO MEN; Mauricio Mota, Founder and Co-President, Wise Entertainment; Adrienne Becker, CEO and a Co-Founder of Level Forward and Co-Founder of Killer Content. On October 16th, 2018 What Will It Take joined with the Women’s Sports Foundation at their Athletes Leadership Summit to present an important conversation “Raise the Bar: Using Your Voice to Make a Difference.” Moderated by Sandra Richards, Managing Director at Morgan Stanley, Marianne Schnall, What Will It Take founder and author of What Will It Take to Make a Woman President?joined veteran sports journalist and advocate Sam Marchiano as they talked with 2012 gold medalist in gymnastics Jordyn Wieber, an outspoken voice for change. Marianne also had the privilege of interviewing keynote speaker and Women’s Sports Foundation founder Billie Jean King. Read the interview and find out more. On October 15th, 2018 we held our Women’s Political Leadership Event at NYU’s Skirball Center in New York City. It was an inspiring evening featuring Marianne Schnall’s Q&A with Democratic Leader Nancy Pelosi and a panel discussion moderated by Pat Mitchell in which Symone Sanders, Brittany Packnett, Alessandra Biaggi, and Kerry Healey offered their powerful insights on why it’s so crucial to have more women in politics and how we can all get involved in making that happen. Watch the videos and find out more. 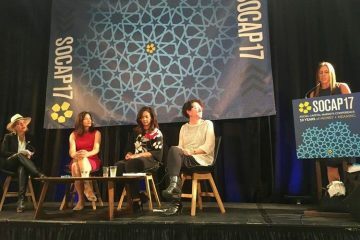 What Will It Take to Make Media that Advances Gender Equality? 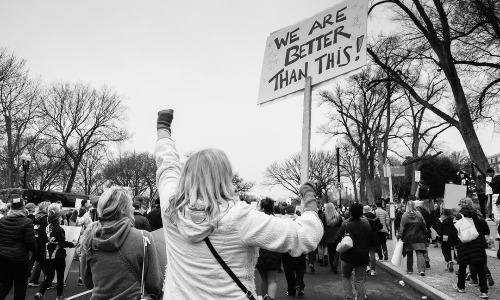 On August 23rd, 2018 we held our What Will It Take to Make Media that Advances Gender Equality? event in Beverly Hills. The event—which kicked off our Women & Media initiative and was part of our Year of Women campaign—was attended by a variety of media makers and featured a panel conversation moderated by WWIT founder Marianne Schnall with Jennifer Siebel Newsom (Filmmaker; Founder & CEO, The Representation Project), Brenda Robinson (Women at Sundance Leadership Council; USC Annenberg Inclusion Initiative) and Caroline Heldman (Political Science professor at Occidental College; Research Director of the Geena Davis Institute on Gender in Media). 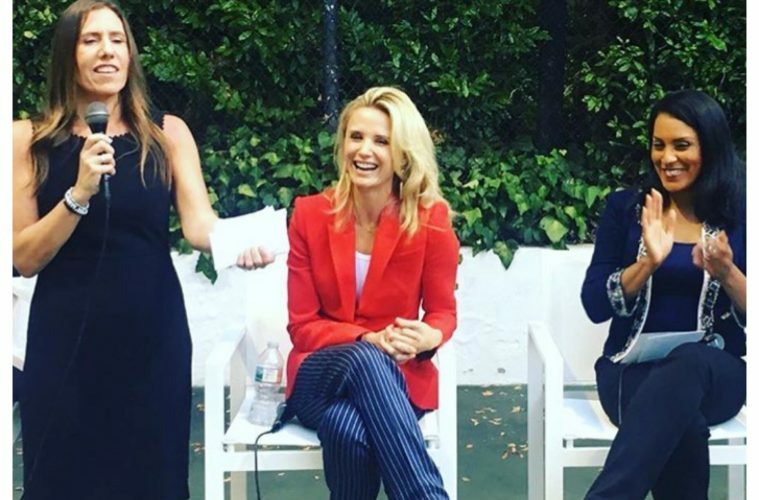 This timely event was in partnership with Second Lady of California Jennifer Siebel Newsom and her organization The Representation Project and addressed the influence media has on culture, the need for more women leaders and diversity in the media industry, and how media can drive gender equality. Special thanks to Shelley Zalis and The Female Quotient for hosting us and their support of the event. 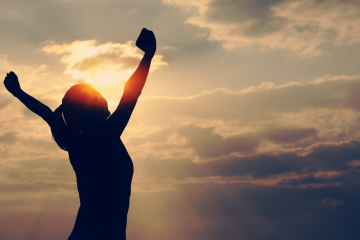 News and Updates (Fall 2017 ) A message of gratitude from WWIT cofounder Marianne Schnall, powerful quotes on why we need more women leaders, important articles, and a video from a panel discussion about Women, Leadership & Power. 2018 Will Be the Year of Women What Will It Take has many exciting things in store this coming year.